There are many incredible crystals for protection to choose from. They all differ a bit in their energy and qualities, but really, there are many that can offer you protection from detrimental electromagnetic frequencies, detrimental energies in general, as well as protection from entities, negative thought patterns, general negative energy or even psychic attack energy from others. To help focus you in a bit on your crystal search, I've compiled some of my favorite crystals for protection here. Each of these crystals is chosen for different reasons depending on the stone because they each have their strengths. Through understanding a bit more about the qualities and properties of each of these crystals for protection, then with awareness, you can identify which of these you really resonate with you. Which Crystals Do You Resonate With? Resonance is always important to consider when choosing crystals as there are so many options. Which seem to pull and call you? This is a key indicator you will benefit from working with that particular stone and will help you to choose the right crystals for you. Okay, so let's dive into the crystals I have to share with you today. 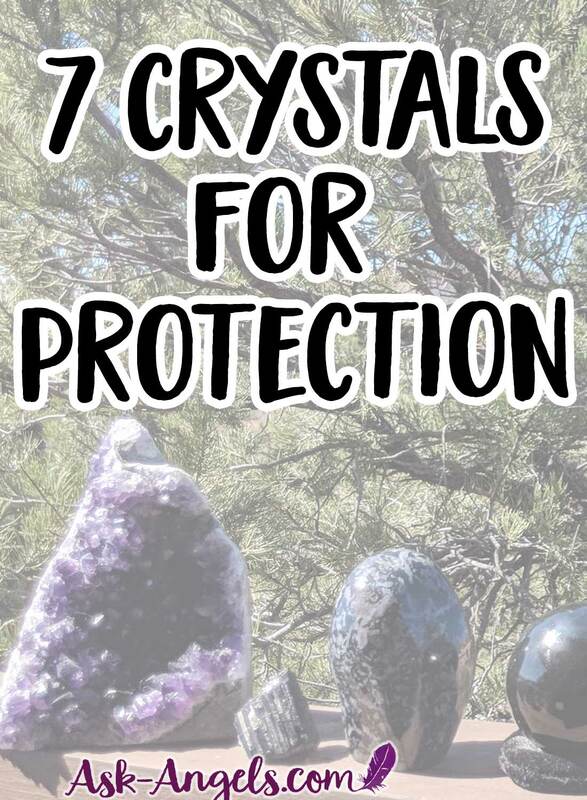 My top seven picks for protection crystals. By the way these are not in any particular order, other than the order they came to mind when I was getting ready to write this! Black Tourmaline is one of the most well-known crystals for protection, and it really is such a beneficial protector overall. It offers energetic protection for your physical body. It's also incredibly detoxifying, and it protects against electromagnetic frequencies, as well as general negativity, negative thought patterns and detrimental energies. One of the limitations I've found with Black Tourmaline is that it works very localized. 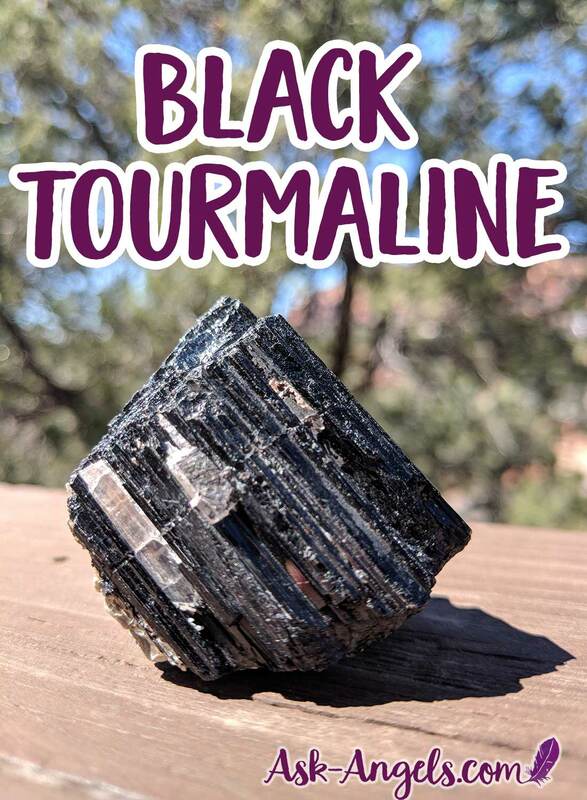 So you really need to have your Black Tourmaline on you, close to you in your home… Or if you’re on the go in your purse, pocket, or you need to be wearing it as jewelry for its protection properties to really benefit you. It also isn't necessarily bulletproof, meaning that while incredibly protective, specifically targeted negative intentions towards you from others in the form of psychic attack or curses may not be totally protected against. However, Black Tourmaline is still super valuable to have around! I like to have lots of it around me for its protective, grounding, and detoxifying properties. The second stone for protection I want to share today is Black Obsidian. And specifically, I have a Black Obsidian sphere that is so powerful. When crystals are cut into a sphere, it amplifies their energy in a way that it sends energy out from all directions. Normally… 😊 Black Obsidian, however, is a little bit different because it is one of the most absorbent crystals there is, so it pulls energy in, rather than sending it out! Technically, Obsidian is not a crystal at all, it is actually volcanic glass, but it's structured so similarly to Quartz, that it's pretty much universally considered to be a crystal. Also, since it is volcanic glass, it carries alchemical fire energy while also being incredibly absorbing. So from my perspective, Black Obsidian really carries the energy of a black hole! So it pulls energy towards itself, and through this is incredibly protective because it absorbs all sorts of detrimental energies negativity, psychic attack, and even negative entities that come into its proximity. But, one of the things that I really love about Black Obsidian that's so powerful, and kind of rare when it comes to crystals, is that it's so highly programmable. You can actually program it to protect you, and then leave it at home you then go to work, and it's able to work remotely to protect you against psychic attack and negative energetic influences. It is also important to keep in mind that Obsidian absorbs energy, but it doesn’t neutralize or transmute it… It holds it within its crystalline structure, and so at some point it will become less effective unless you go in and consciously clear the energy of your obsidian. So for best results (especially at first) its a good idea to cleanse and refresh the programming for protection on a weekly basis at least. One more thing I do want to share about Obsidian is that its energy used to overwhelm me a little bit because of its strong pulling energy. It also has the tendency to bring up within you unintegrated shadow aspects of your consciousness. So if Obsidian feels a little bit heavy for you, you might want to check out Snowflake Obsidian which has the same protective properties but is a little gentler, or Gold Sheen Obsidian which carries golden light within the dark, and is also really powerful. 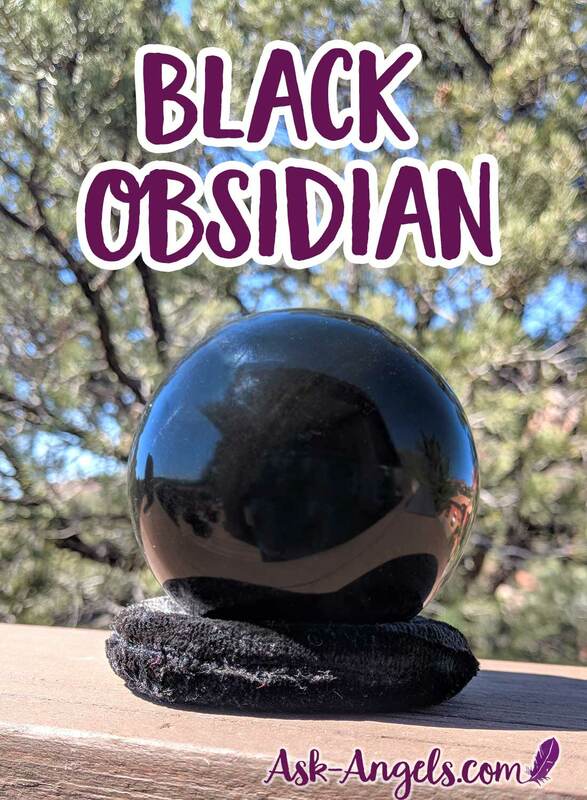 I bought my Obsidian sphere in person, but there are also some great options here! Next up is Indigo Gabbro. 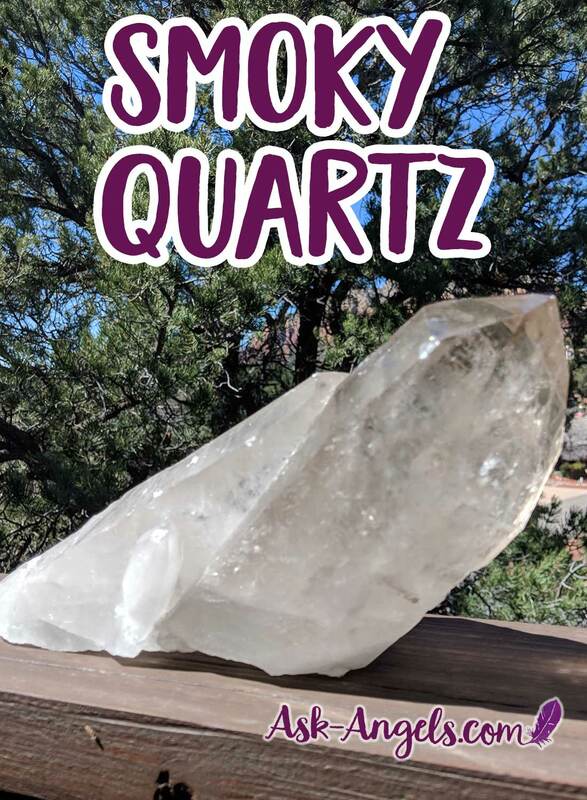 You might have heard me talking about this stone before because it really is one of my favorite crystals, and one I'm recommending a ton recently because of its powerful adaptive energy. 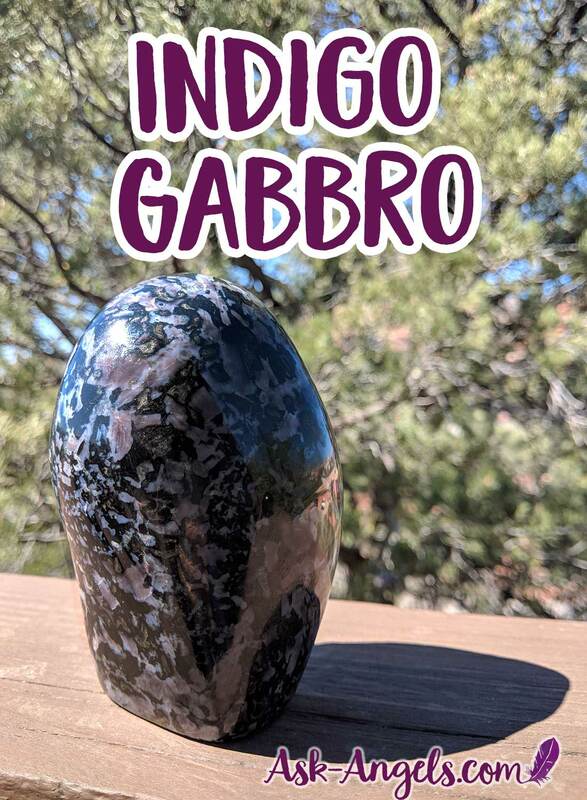 Indigo Gabbro is one of a few crystals that are known to be adaptogenic, meaning that it will bring you the energy you most need at the moment. It's also incredibly centering, protective and is highly programmable as well. But it also carries a violet and indigo energy that is connected to the violet flame of transmutation. So Indigo Gabbro has the ability to transmute much of the negative interference it encounters. So you wouldn't need to cleanse Indigo Gabbro as much as you would Obsidian, or Black Tourmaline. Indigo Gabbro will transmute much of the negativity it absorbs while also being centering, protective and spiritually uplifting. So again, in my opinion, this is one of the best stones for protection against electromagnetic frequencies, as well as really all sorts of detrimental energy. I wrote an entire blog post if you'd like to learn more about Indigo Gabbro here. Next up is Shungite. Shungite is an incredibly protective stone, especially for protection against detrimental electromagnetic frequencies, which we're all constantly bombarded with on a daily and increasing basis. I personally have a Shungite Pyramid, which I like because the pyramid shape further amplifies the energy of the Shungite. 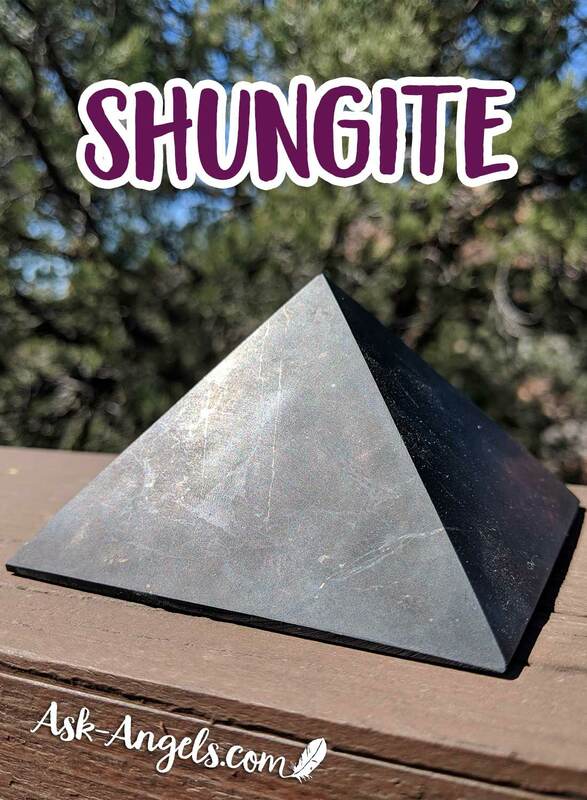 In addition to its ability to absorb electromagnetic frequencies, Shungite is able to take on all sorts of detrimental energies that may have attached to your aura or entered into your space. I like to keep Shungite near my computer when I'm working. It's also a great stone to have by your Wi-Fi router. I actually keep Shungite and Indigo Gabbro both by my router. In addition to the protective properties, Shungite is also very stabilizing and detoxifying. So that is an extra benefit of using Shungite for protection, wearing it as jewelry or keeping it in your office or on your desk. Amethyst is an incredible stone. It is incredibly spiritually uplifting and also protective on a spiritual level. One of the unique things about the energy of Amethyst is its connection to the violet ray, as reflected through its beautiful purple color. It's also closely connected to the energy of the violet flame of transmutation,. 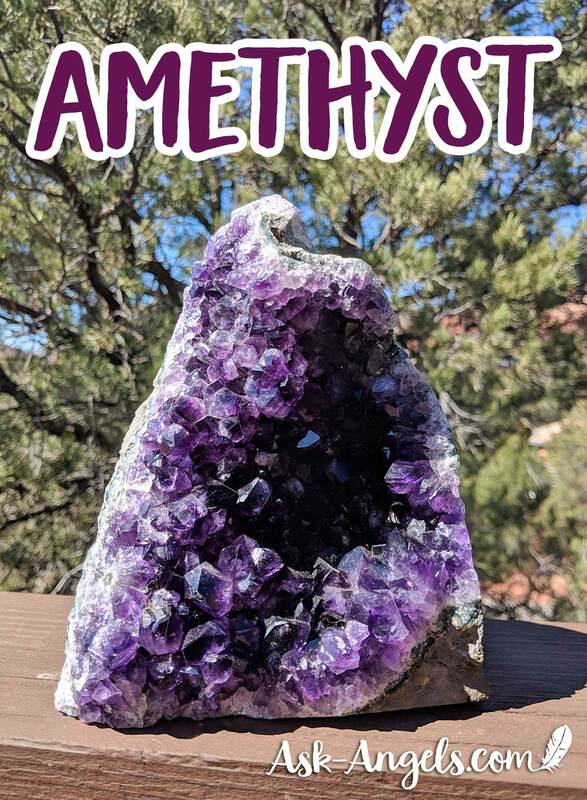 As a result it is able to transmute much of the negativity it takes on and so by simply having Amethyst in your home, it's constantly working to create a spiritual energy that is safe and that you're supported and protected in. While Amethyst is able to protect against and transmute a great deal of negativity… I wouldn't say it's protective abilities are as bulletproof as say Black Obsidian or Indigo Gabbro, but it is beautifully and powerfully protective in a spiritual sense. Amethyst is also incredibly uplifting, soothing, and supportive of you on your spiritual journey. Really, its beautifully supportive on many levels, including protection. Lapis Lazuli, called Lapis for short, is really protective on a psychic level. This is honestly one of my go to stones for anytime I feel I’m under any sort of psychic attack, or its great to use if you feel like you're a target of black magic, or the negative intentions and negative thought patterns of others. Lapis lazuli works by creating a sort of psychic shield around you when you’re wearing it, holding it or in close proximity. You do need to have it on or near you you (touching your skin is even better) for best benefits. Lapis is a great ally for protection on the mental, spiritual and energetic level. So it protects against detrimental thought patterns which could be sent your way from entities or from other people. Lapis is also great for maintaining clear thinking, plus it is beautiful and also so powerful for developing your intuition, clear thinking, and finding and aligning with your authentic voice. 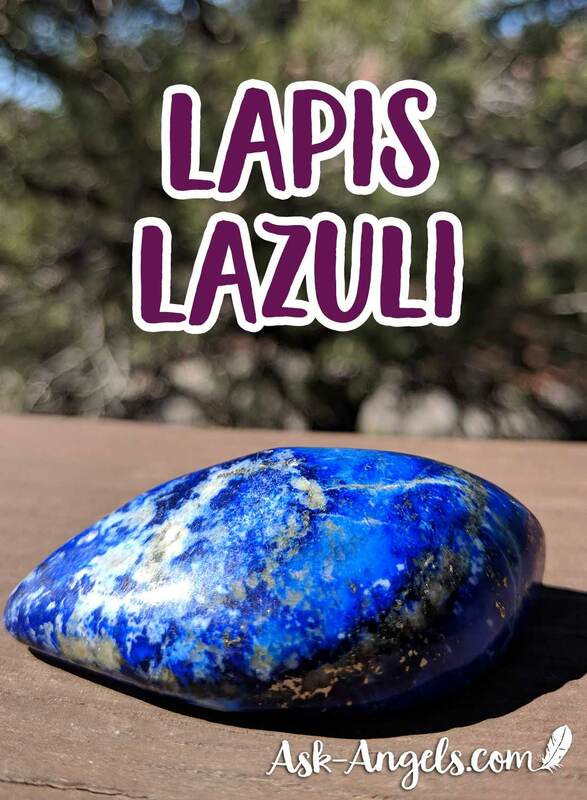 It, of course, has so many other beneficial properties like being psychically opening but, staying focused here on protection… Especially at the level of psychic protection Lapis is a great choice. Finally, the seventh crystal for protection I want to share with you today is Smoky Quartz. Smoky Quartz is a stone of power and protection. It's very protective against electromagnetic frequencies and general detrimental energies. It is very powerful and it can actually absorb a lot before you need to consciously go in and cleanse its energies so that can be a perk. It does also have a pretty wide range in terms of the area it can cover. I don't feel it's quite as wide as like obsidian or fluoride which could be used remotely. But Smoky Quartz does have a wide range in how its able to protect you. So it would be a great stone to grid your home in or to just have a piece in your home for protection. One thing I do want to point out about Smoky Quartz is there are some varieties of it that are almost black. This does happen naturally within the earth however, it's pretty rare. And so most of the black Smoky Quartz you see on the market has been artificially irradiated, meaning exposed to radiation in order to cook it, so that it turns that dark black color. I recommend avoiding heat treated crystals. This treatment detrimentally changes the energetic signature, and don’t feel the energy of the stone is as pure, benevolent and beneficial after it's undergone that harsh treatment. So with Smoky Quartz, and really all crystals, I recommend trying to find them in their most natural state. For smoky quartz that is usually the lighter brownish color, however again, there are some sources of the really deep black smoky quartz which is generally even more protective, but you have to be really careful and sure you're buying from a reputable dealer who knows the source and knows whether that crystal has been treated or not. 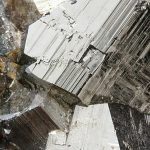 Smoky quartz is also a great protector against psychic attack and while it doesn’t itself transmute the negativity and detrimental energy it absorbs, it can pull in and ground to the Earth a lot of scattered energy around, so at the level of thought patterns it does effectively handle a lot of that energy grounding it to the Earth. Finally, the last thing I want to share about Smoky Quartz is that in addition to being protective on an emotional, physical, mental spiritual level, it is really spiritually supportive to it can help you to establish a link with the higher dimensions and it is great for meditation. So those are my top seven crystals for protection. I hope that this has been helpful for you. Again, if you would like to learn the process for programming, these crystals of protection to make them work and an even more focused and efficient way, check out my video on How to Program Crystals here! As always, I love honor and appreciate you!